d a n i e l l e b u r k l e o : check it! i've got just the places for you! 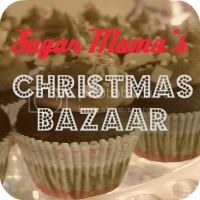 Also, my sweet friend Ashley is hosting a fabulous Christmas Bazaar! Hi there! I'm Ashley, the wifey, mama and baker behind Sugar Mama Bakeshop. This Christmas I set a goal to either make or buy handmade for every single gift on my list. And I'm encouraging my friends and fam to do the same!! Starting Novemeber 2nd and running through December 24 you can do tons of holiday shopping on my blog! I will showcase my favorite shops so that they are just a click away. Easy as that :) So fun huh!? So far I have everything from gorgeous home decor to upcycled pretties to beautiful scripture prints and so much more. I can't wait to start shopping! Throughout the next 2 months I'll be hosting giveaways for these darling shops and I even have a little Black Friday party you won't want to miss. Please stop by and support these awesome friends and their amazing talents.